Bio "聚焦 Knowledge changes fate." 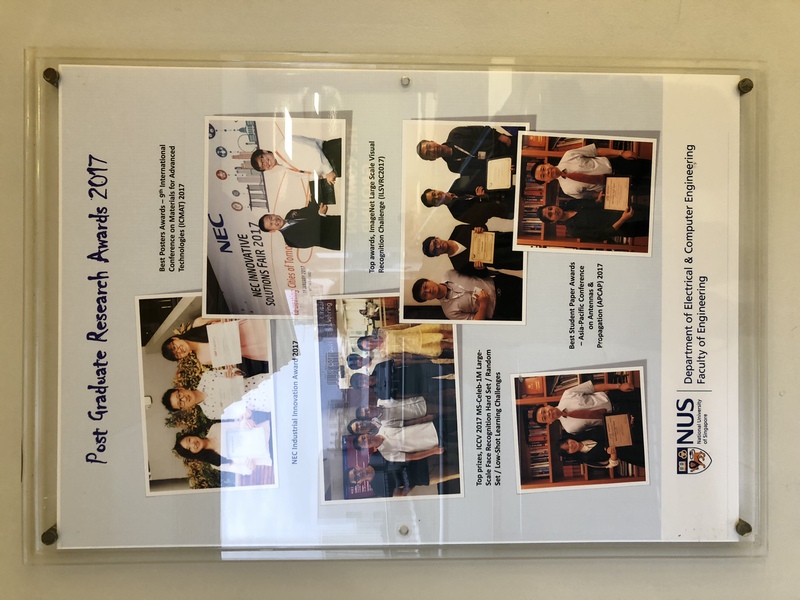 I am a Ph.D. candidate at Learning and Vision Group, Department of Electrical and Computer Engineering (ECE), Faculty of Engineering, National University of Singapore (NUS). My main supervisor is Assist. Prof. Jiashi Feng and my co-supervisor is Assoc. Prof. Shuicheng Yan. 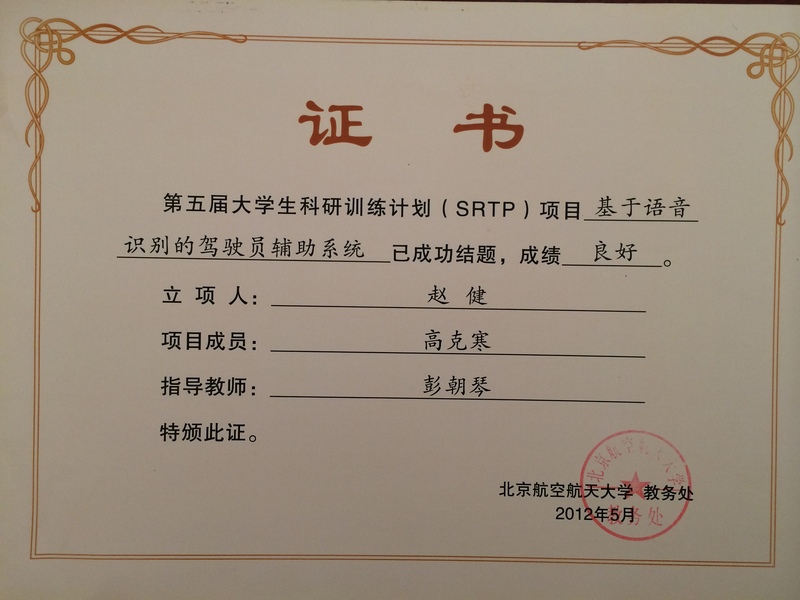 I am generously supported by China Scholarship Council (CSC) and School of Computer, National University of Defense Technology (NUDT), China. 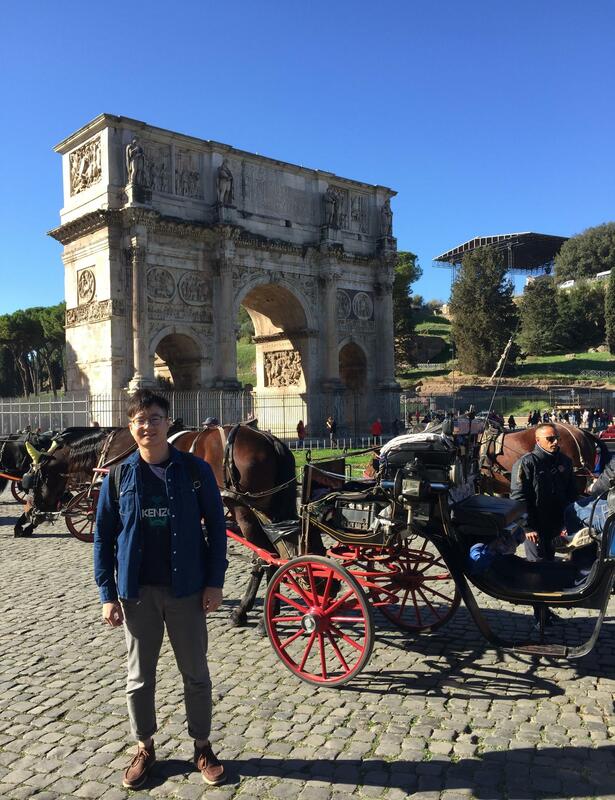 My domestic supervisor of NUDT is Prof. Hengzhu Liu. Currently, I am working on developing deep neural network models and algorithms for human-centric image analysis, applied to face recognition, image generation and human parsing. I have an M.Eng. degree in Computer Science for signal processing with a thesis titled "Research on the Equalization Technologies for the Wireless Image Transmission Data Link System Based on the UAV Platform". Research interests: Artificial intelligence, deep learning and computer vision, including unconstrained/large-scale/low-shot face recognition, image generation and super resolution with adversarial learning, human parsing, and knowledge distillation. Past interests: Signal processing, wireless communication, system modeling and simulation. Professional activities: Reviewer of T-MM, T-IFS, T-CSVT, Neurocomputing, CSSP, NIPS (one of the top 30% highest-scoring reviewers of NIPS 2018), CVPR, ICCV, ACM MM, AAAI, ICLR, ICML, UAI. Organizer of the CVPR 2018 Workshop on Visual Understanding of Humans in Crowd Scene (VUHCS), and MHP Challenges on Multi-Human Pose Estimation and Fine-Grained Multi-Human Parsing. 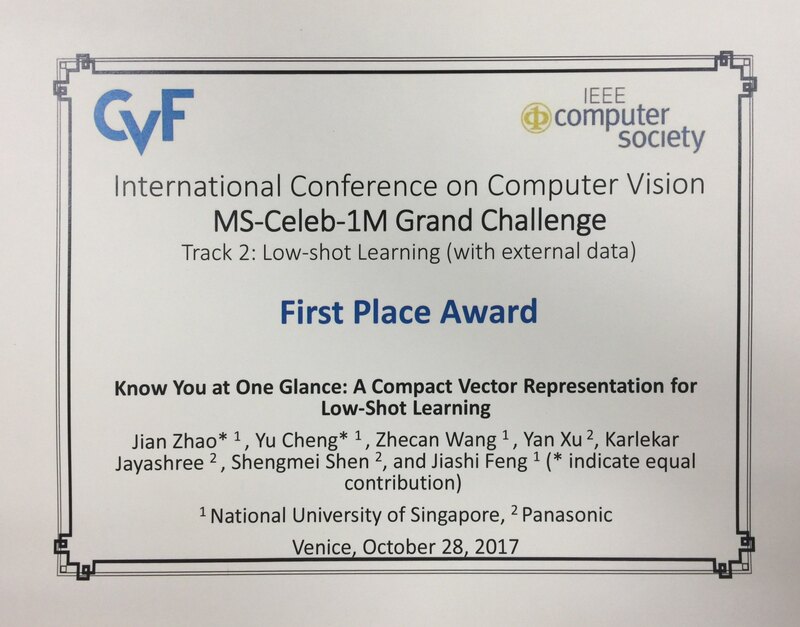 Program Committee member of the ECCV 2018 Workshop on Compact and Efficient Feature Representation Learning in Computer Vision. Memberships: IEEE student member, IEEE Computer Society student member, Computer Vision Foundation student member, CCF student member. 26 Apr 2019 — I have one paper accepted by IJCV (IF: 11.541) as the 1st author. 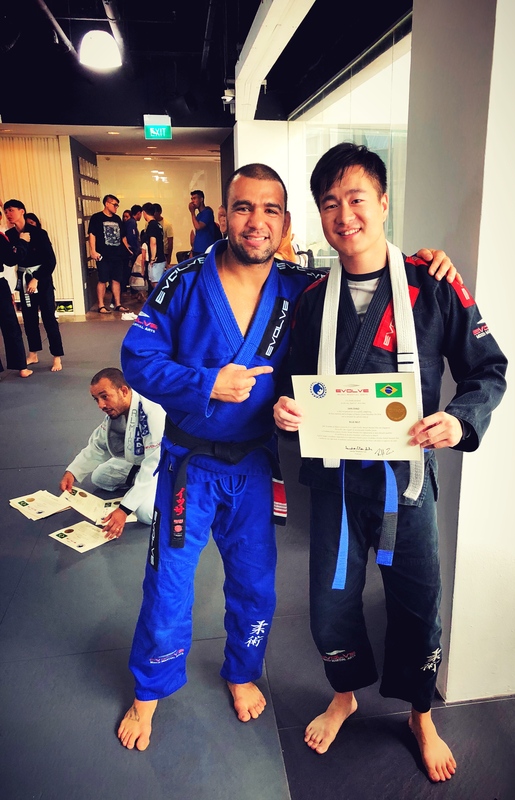 14 Mar 2019 — I have successfully passed my Ph.D. 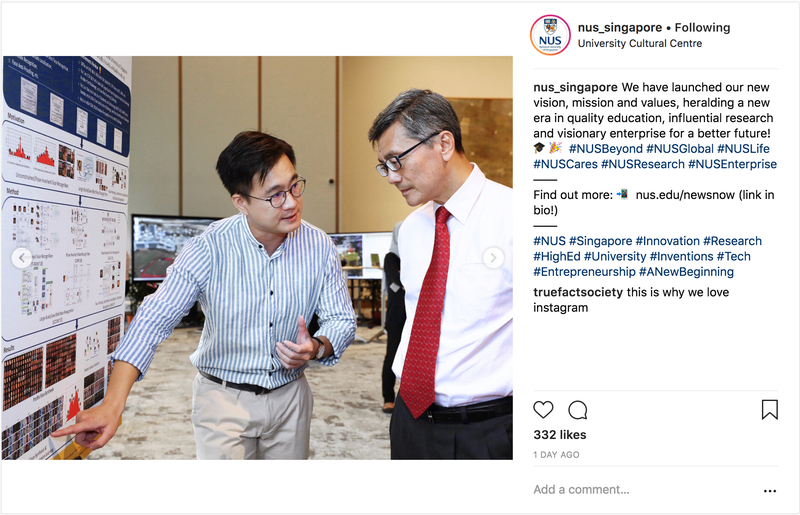 Oral Defense ("DEEP LEARNING FOR HUMAN-CENTRIC IMAGE ANALYSIS: FROM FACE RECOGNITION TO HUMAN PARSING") on 13th March 2019, at E4-05-39, ECE, NUS. 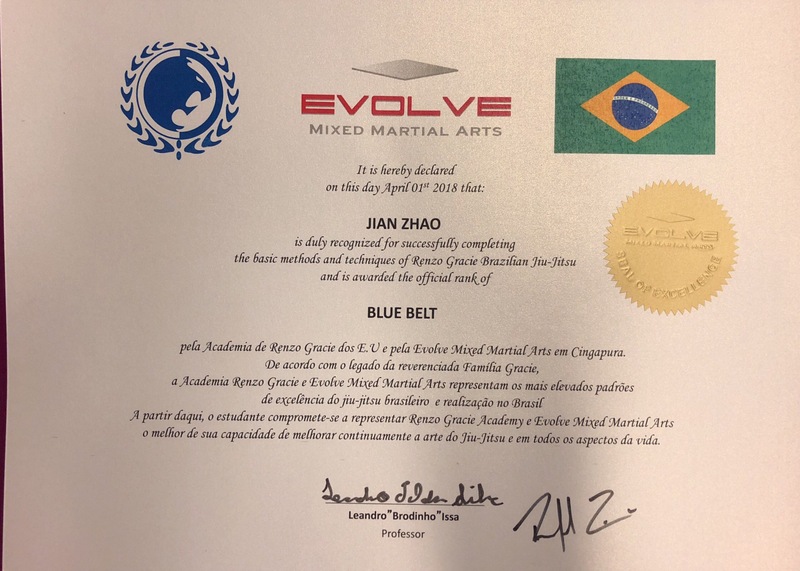 06 Mar 2019 — IJCV (IF: 11.541) x 3: 1 minor revision & 2 major revisions as the 1st author. 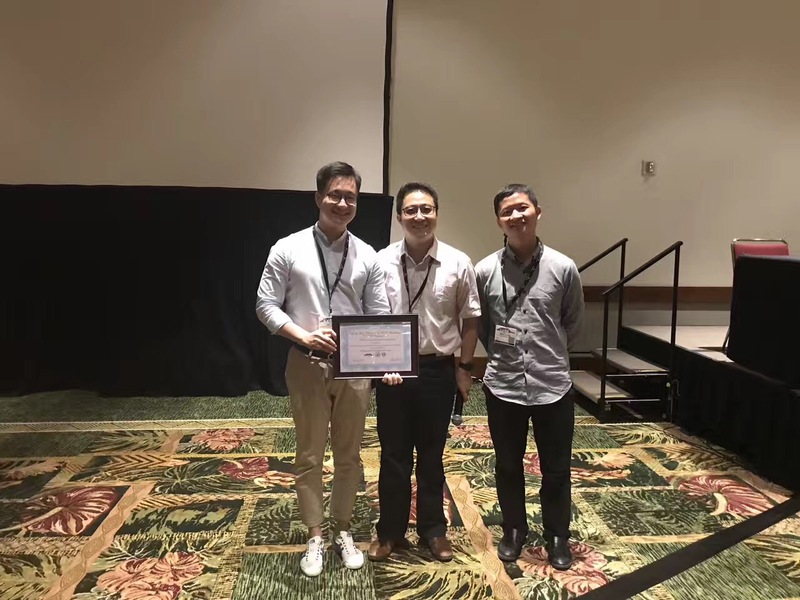 24 Oct 2018 — I received ACM MM 2018 Best Student Paper Award as the 1st author. 04 Jul 2018 — I have one paper accepted by T-PAMI (IF: 9.455) as the 1st author. 3D face reconstruction from a single 2D image is a challenging problem with broad applications. Recent methods typically aim to learn a CNN-based 3D face model that regresses coefficients of 3D Morphable Model (3DMM) from 2D images to render 3D face reconstruction or dense face alignment. However, the shortage of training data with 3D annotations considerably limits performance of those methods. To alleviate this issue, we propose a novel 2D-assisted self-supervised learning (2DASL) method that can effectively use “in-the-wild” 2D face images with noisy landmark information to substantially improve 3D face model learning. Specifically, taking the sparse 2D facial landmarks as additional information, 2DSAL introduces four novel self-supervision schemes that view the 2D landmark and 3D landmark prediction as a self-mapping process, including the 2D and 3D landmark self-prediction consistency, cycle-consistency over the 2D landmark prediction and self-critic over the predicted 3DMM coefficients based on landmark predictions. Using these four self-supervision schemes, the 2DASL method significantly relieves demands on the the conventional paired 2D-to-3D annotations and gives much higher-quality 3D face models without requiring any additional 3D annotations. Experiments on multiple challenging datasets show that our method outperforms state-of-the-arts for both 3D face reconstruction and dense face alignment by a large margin. In this paper, we study the challenging unconstrained set-based face recognition problem where each subject face is instantiated by a set of media (images and videos) instead of a single image. Naively aggregating information from all the media within a set would suffer from the large intraset variance caused by heterogeneous factors (e.g., varying media modalities, poses and illuminations) and fail to learn discriminative face representations. A novel MultiPrototype Network (MPNet) model is thus proposed to learn multiple prototype face representations adaptively from the media sets. Each learned prototype is representative for the subject face under certain condition in terms of pose, illumination and media modality. Instead of handcrafting the set partition for prototype learning, MPNet introduces a Dense SubGraph (DSG) learning sub-net that implicitly untangles inconsistent media and learns a number of representative prototypes. Qualitative and quantitative experiments clearly demonstrate superiority of the proposed model over state-of-the-arts. Face anti-spoofing (a.k.a presentation attack detection) has drawn growing attention due to the high security demand in face authentication systems. Existing CNN-based approaches usually well recognize the spoofing faces when training and testing spoofing samples display similar patterns, but their performance would drop drastically on testing spoofing faces of unseen scenes. In this paper, we try to boost the generalizability and applicability of these methods by designing a CNN model with two major novelties. First, we propose a simple yet effective Total Pairwise Confusion (TPC) loss for CNN training, which enhances the generalizability of the learned Presentation Attack (PA) representations. Secondly, we incorporate a Fast Domain Adaptation (FDA) component into the CNN model to alleviate negative effects brought by domain changes. Besides, our proposed model, which is named Generalizable Face Authentication CNN (GFA-CNN), works in a multi-task manner, performing face anti-spoofing and face recognition simultaneously. Experimental results show that GFA-CNN outperforms previous face anti-spoofing approaches and also well preserves the identity information of input face images. Multi-task learning is popular in machine learning and computer vision. In multitask learning, properly modeling task relations is important for boosting the performance of jointly learned tasks. Task covariance modeling has been successfully used to model the relations of tasks but is limited to homogeneous multi-task learning. In this paper, we propose a feature based task relation modeling approach, suitable for both homogeneous and heterogeneous multi-task learning. First, we propose a new metric to quantify the relations between tasks. Based on the quantitative metric, we then develop the task relation layer, which can be combined with any deep learning architecture to form task relation networks to fully exploit the relations of different tasks in an online fashion. Benefiting from the task relation layer, the task relation networks can better leverage the mutual information from the data. We demonstrate our proposed task relation networks are effective in improving the performance in both homogeneous and heterogeneous multi-task learning settings through extensive experiments on computer vision tasks. Despite the remarkable progress in face recognition related technologies, reliably recognizing faces across ages still remains a big challenge. The appearance of a human face changes substantially over time, resulting in significant intra-class variations. As opposed to current techniques for age-invariant face recognition, which either directly extract age-invariant features for recognition, or first synthesize a face that matches target age before feature extraction, we argue that it is more desirable to perform both tasks jointly so that they can leverage each other. To this end, we propose a deep Age-Invariant Model (AIM) for face recognition in the wild with three distinct novelties. First, AIM presents a novel unified deep architecture jointly performing cross-age face synthesis and recognition in a mutual boosting way. Second, AIM achieves continuous face rejuvenation/aging with remarkable photorealistic and identity-preserving properties, avoiding the requirement of paired data and the true age of testing samples. Third, we develop effective and novel training strategies for end-to-end learning the whole deep architecture, which generates powerful age-invariant face representations explicitly disentangled from the age variation. Moreover, we propose a new large-scale Cross-Age Face Recognition (CAFR) benchmark dataset to facilitate existing efforts and push the frontiers of age-invariant face recognition research. Extensive experiments on both our CAFR and several other cross-age datasets (MORPH, CACD and FG-NET) demonstrate the superiority of the proposed AIM model over the state-of-the-arts. Benchmarking our model on one of the most popular unconstrained face recognition datasets IJB-C additionally verifies the promising generalizability of AIM in recognizing faces in the wild. Detecting the relations among objects, such as "cat on sofa" and "person ride horse", is a crucial task in image understanding, and beneficial to bridging the semantic gap between images and natural language. Despite the remarkable progress of deep learning in detection and recognition of individual objects, it is still a challenging task to localize and recognize the relations between objects due to the complex combinatorial nature of various kinds of object relations. Inspired by the recent advances in one-shot learning, we propose a simple yet effective Semantics Induced Learner (SIL) model for solving this challenging task. Learning in one-shot manner can enable a detection model to adapt to a huge number of object relations with diverse appearance effectively and robustly. In addition, the SIL combines bottom-up and top-down attention mech- anisms, therefore enabling attention at the level of vision and semantics favorably. Within our proposed model, the bottom-up mechanism, which is based on Faster R-CNN, proposes objects regions, and the top-down mechanism selects and integrates visual features according to semantic information. Experiments demonstrate the effectiveness of our framework over other state-of-the-art methods on two large-scale data sets for object relation detection. Synthesizing realistic profile faces is beneficial for more efficiently training deep pose-invariant models for large-scale unconstrained face recognition, by augmenting the number of samples with extreme poses and avoiding costly annotation work. However, learning from synthetic faces may not achieve the desired performance due to the discrepancy between distributions of the synthetic and real face images. To narrow this gap, we propose a Dual-Agent Generative Adversarial Network (DA-GAN) model, which can improve the realism of a face simulator’s output using unlabeled real faces while preserving the identity information during the realism refinement. The dual agents are specially designed for distinguishing real v.s. fake and identities simultaneously. In particular, we employ an off-the-shelf 3D face model as a simulator to generate profile face images with varying poses. DA-GAN leverages a fully convolutional network as the generator to generate high-resolution images and an auto-encoder as the discriminator with the dual agents. Besides the novel architecture, we make several key modifications to the standard GAN to preserve pose, texture as well as identity, and stabilize the training process: (i) a pose perception loss; (ii) an identity perception loss; (iii) an adversarial loss with a boundary equilibrium regularization term. Experimental results show that DA-GAN not only achieves outstanding perceptual results but also significantly outperforms state-of-the-arts on the large-scale and challenging NIST IJB-A and CFP unconstrained face recognition benchmarks. In addition, the proposed DA-GAN is also a promising new approach for solving generic transfer learning problems more effectively. 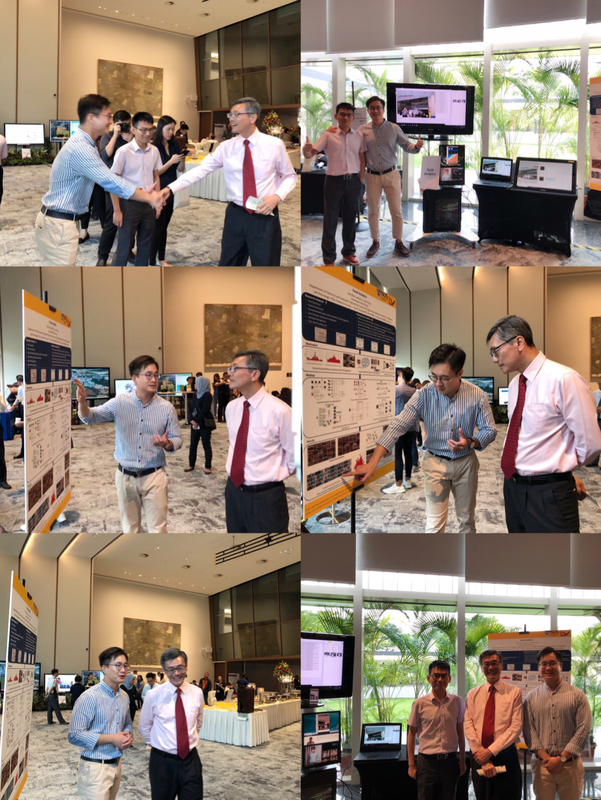 DA-GAN is the foundation of our winning entry to the NIST IJB-A face recognition competition in which we secured the 1st places on the tracks of verification and identification. This paper proposes a novel Dynamic Conditional Convolutional Network (DCCN) to handle conditional few-shot learning, i.e, only a few training samples are available for each condition. DCCN consists of dual subnets: DyConvNet contains a dynamic convolutional layer with a bank of basis filters; CondiNet predicts a set of adaptive weights from conditional inputs to linearly combine the basis filters. In this manner, a specific convolutional kernel can be dynamically obtained for each conditional input. The filter bank is shared between all conditions thus only a low-dimension weight vector needs to be learned. This significantly facilitates the parameter learning across different conditions when training data are limited. We evaluate DCCN on four tasks which can be formulated as conditional model learning, including specific object counting, multi-modal image classification, phrase grounding and identity based face generation. Extensive experiments demonstrate the superiority of the proposed model in the conditional few-shot learning setting. Despite the noticeable progress in perceptual tasks like detection, instance segmentation and human parsing, computers still perform unsatisfactorily on visually understanding humans in crowded scenes, such as group behavior analysis, person re-identification and autonomous driving, etc. To this end, models need to comprehensively perceive the semantic information and the differences between instances in a multi-human image, which is recently defined as the multi-human parsing task. In this paper, we present a new large-scale database “Multi-Human Parsing (MHP)” for algorithm development and evaluation, and advances the state-of-the-art in understanding humans in crowded scenes. MHP contains 25,403 elaborately annotated images with 58 fine-grained semantic category labels, involving 2-26 persons per image and captured in real-world scenes from various viewpoints, poses, occlusion, interactions and background. We further propose a novel deep Nested Adversarial Network (NAN) model for multi-human parsing. NAN consists of three Generative Adversarial Network (GAN)-like sub-nets, respectively performing semantic saliency prediction, instance-agnostic parsing and instance-aware clustering. These sub-nets form a nested structure and are carefully designed to learn jointly in an end-to-end way. NAN consistently outperforms existing state-of-the-art solutions on our MHP and several other datasets, and serves as a strong baseline to drive the future research for multi-human parsing. Human parsing is an important task in human-centric analysis. Despite the remarkable progress in single-human parsing, the more realistic case of multi-human parsing remains challenging in terms of the data and the model. Compared with the considerable number of available single-human parsing datasets, the datasets for multi-human parsing are very limited in number mainly due to the huge annotation effort required. Besides the data challenge to multi-human parsing, the persons in real-world scenarios are often entangled with each other due to close interaction and body occlusion, making it difficult to distinguish body parts from different person instances. In this paper we propose the Multi-Human Parsing Machines (MHPM), which contains an MHP Montage model and an MHP Solver, to address both challenges in multi-human parsing. Specifically, the MHP Montage model in MHPM generates realistic images with multiple persons together with the parsing labels. It intelligently composes single persons onto background scene images while maintaining the structural information between persons and the scene. The generated images can be used to train better multi-human parsing algorithms. On the other hand, the MHP Solver in MHPM solves the bottleneck of distinguishing multiple entangled persons with close interaction. It employs a Group-Individual Push and Pull (GIPP) loss function, which can effectively separate persons with close interaction. We experimentally show that the proposed MHPM can achieve state-of-the-art performance on the multi-human parsing benchmark and the person individualization benchmark, which distinguishes closely entangled person instances. Learning from synthetic faces, though perhaps appealing for high data efficiency, may not bring satisfactory performance due to the distribution discrepancy of the synthetic and real face images. To mitigate this gap, we propose a 3D-Aided Deep Pose-Invariant Face Recognition Model (3D-PIM), which automatically recovers realistic frontal faces from arbitrary poses through a 3D face model in a novel way. Specifically, 3D-PIM incorporates a simulator with the aid of a 3D Morphable Model (3D MM) to obtain shape and appearance prior for accelerating face normalization learning, requiring less training data. It further leverages a global-local Generative Adversarial Network (GAN) with multiple critical improvements as a refiner to enhance the realism of both global structures and local details of the face simulator’s output using unlabelled real data only, while preserving the identity information. Qualitative and quantitative experiments on both controlled and in-the-wild benchmarks clearly demonstrate superiority of the proposed model over state-of-the-arts. Pose variation is one key challenge in face recognition. As opposed to current techniques for pose invariant face recognition, which either directly extract pose invariant features for recognition, or first normalize profile face images to frontal pose before feature extraction, we argue that it is more desirable to perform both tasks jointly to allow them to benefit from each other. To this end, we propose a Pose Invariant Model (PIM) for face recognition in the wild, with three distinct novelties. First, PIM is a novel and unified deep architecture, containing a Face Frontalization sub-Net (FFN) and a Discriminative Learning sub-Net (DLN), which are jointly learned from end to end. Second, FFN is a well-designed dual-path Generative Adversarial Network (GAN) which simultaneously perceives global structures and local details, incorporated with an unsupervised cross-domain adversarial training and a "learning to learn" strategy for high-fidelity and identity-preserving frontal view synthesis. Third, DLN is a generic Convolutional Neural Network (CNN) for face recognition with our enforced cross-entropy optimization strategy for learning discriminative yet generalized feature representation. Qualitative and quantitative experiments on both controlled and in-the-wild benchmarks demonstrate the superiority of the proposed model over the state-of-the-arts. In this paper, we propose a novel weakly supervised model, Multi-scale Anchored Transformer Network (MATN), to accurately localize free-form textual phrases with only image-level supervision. The proposed MATN takes region proposals as localization anchors, and learns a multi-scale correspondence network to continuously search for phrase regions referring to the anchors. In this way, MATN can exploit useful cues from these anchors to reliably reason about locations of the regions described by the phrases given only image-level supervision. Through differentiable sampling on image spatial feature maps, MATN introduces a novel training objective to simultaneously minimize a contrastive reconstruction loss between different phrases from a single image and a set of triplet losses among multiple images with similar phrases. Superior to existing region proposal based methods, MATN searches for the optimal bounding box over the entire feature map instead of selecting a sub-optimal one from discrete region proposals. We evaluate MATN on the Flickr30K Entities and ReferItGame datasets. The experimental results show that MATN significantly outperforms the state-of-the-art methods. Synthesizing realistic profile faces is promising for more efficiently training deep pose-invariant models for large-scale unconstrained face recognition, by populating samples with extreme poses and avoiding tedious annotations. However, learning from synthetic faces may not achieve the desired performance due to the discrepancy between distributions of the synthetic and real face images. To narrow this gap, we propose a Dual-Agent Generative Adversarial Network (DA-GAN) model, which can improve the realism of a face simulator's output using unlabeled real faces, while preserving the identity information during the realism refinement. The dual agents are specifically designed for distinguishing real v.s. fake and identities simultaneously. In particular, we employ an off-the-shelf 3D face model as a simulator to generate profile face images with varying poses. DA-GAN leverages a fully convolutional network as the generator to generate high-resolution images and an auto-encoder as the discriminator with the dual agents. Besides the novel architecture, we make several key modifications to the standard GAN to preserve pose and texture, preserve identity and stabilize training process: (i) a pose perception loss; (ii) an identity perception loss; (iii) an adversarial loss with a boundary equilibrium regularization term. Experimental results show that DA-GAN not only presents compelling perceptual results but also significantly outperforms state-of-the-arts on the large-scale and challenging NIST IJB-A unconstrained face recognition benchmark. In addition, the proposed DA-GAN is also promising as a new approach for solving generic transfer learning problems more effectively. 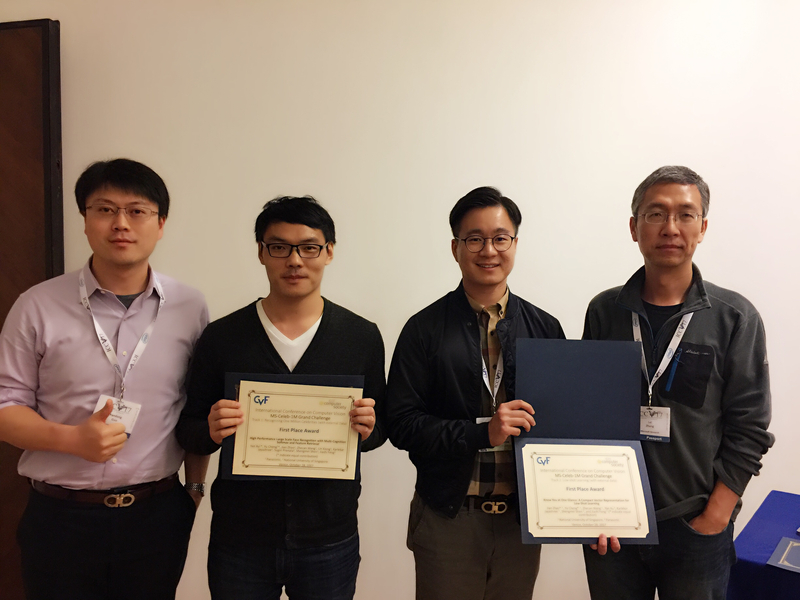 DA-GAN is the foundation of our submissions to NIST IJB-A 2017 face recognition competitions, where we won the 1st places on the tracks of verification and identification. Face recognition techniques have been developed significantly in recent years. However, recognizing faces with partial occlusion is still challenging for existing face recognizers, which is heavily desired in real-world applications concerning surveillance and security. Although much research effort has been devoted to developing face de-occlusion methods, most of them can only work well under constrained conditions, such as all of faces are from a pre-defined closed set of subjects. In this paper, we propose a robust LSTM-Autoencoders (RLA) model to effectively restore partially occluded faces even in the wild. The RLA model consists of two LSTM components, which aims at occlusion-robust face encoding and recurrent occlusion removal respectively. The first one, named multi-scale spatial LSTM encoder, reads facial patches of various scales sequentially to output a latent representation, and occlusion-robustness is achieved owing to the fact that the influence of occlusion is only upon some of the patches. Receiving the representation learned by the encoder, the LSTM decoder with a dual channel architecture reconstructs the overall face and detects occlusion simultaneously, and by feat of LSTM, the decoder breaks down the task of face de-occlusion into restoring the occluded part step by step. Moreover, to minimize identify information loss and guarantee face recognition accuracy over recovered faces, we introduce an identity-preserving adversarial training scheme to further improve RLA. Extensive experiments on both synthetic and real data sets of faces with occlusion clearly demonstrate the effectiveness of our proposed RLA in removing different types of facial occlusion at various locations. The proposed method also provides significantly larger performance gain than other de-occlusion methods in promoting recognition performance over partially-occluded faces. In this paper, we propose a novel Conditional Dual-Agent GAN (CDA-GAN) for photorealistic and annotation preserving image synthesis, which significantly benefits Deep Convolutional Neural Networks (DCNNs) learning. Instead of merely distinguishing real or fake, the proposed dual agents of the Discriminator are able to preserve both of realism and annotation information simultaneously through a standard adversarial loss and an annotation perception loss. During training, the Generator is conditioned on the desired image features learned by a pre-trained CNN sharing the same architecture of the Discriminator yet different weights. Thus, CDA-GAN is flexible in terms of scalability and able to generate photorealistic image with well preserved annotation information for learning DCNNs in specific domains. We perform detailed experiments to verify the effectiveness of CDA-GAN, which outperforms other state-of-the-arts on MNIST digits classification dataset and IJB-A face recognition dataset. To solve this large scale face recognition problem, a Multi-Cognition Softmax Model (MCSM) is proposed to distribute training data to several cognition units by a data shuffling strategy in this paper. Here we introduce one cognition unit as a group of independent softmax models, which is designed to increase the diversity of the one softmax model to boost the performance for models ensemble. Meanwhile, a template-based Feature Retrieval (FR) module is adopted to improve the performance of MCSM by a specific voting scheme. Moreover, a one-shot learning method is applied on collected extra 600K identities due to each identity has one image only. Finally, testing images with lower score from MCSM and FR are assigned new labels with higher score by merging one-shot learning results. Our solution ranks the first place in both two settings of the final evaluation and outperforms other teams by a large margin. In this paper, we propose an enforced Softmax optimization approach which is able to improve the model's representational capacity by producing a “compact vector representation” for effectively solving the challenging low-shot learning face recognition problem. Compact vector representations are significantly helpful to overcome the underlying multi-modality variations and remain the primary key features as close to the mean face of the identity as possible in the high-dimensional feature space. Therefore, the gallery facial representations become more robust under various situations, leading to the overall performance improvement for low-shot learning. Comprehensive evaluations on the MNIST, LFW, and the challenging MS-Celeb-1M Low-Shot Learning Face Recognition benchmark datasets clearly demonstrate the superiority of our proposed method over state-of-the-arts. Face analytics benefits many multimedia applications. It consists of several tasks and most existing approaches generally treat these tasks independently, which limits their deployment in real scenarios. In this paper we propose an integrated Face Analytics Network (iFAN), which is able to perform multiple tasks jointly for face analytics with a novel carefully designed network architecture to fully facilitate the informative interaction among different tasks. The proposed integrated network explicitly models the interactions between tasks so that the correlations between tasks can be fully exploited for performance boost. In addition, to solve the bottleneck of the absence of datasets with comprehensive training data for various tasks, we propose a novel cross-dataset hybrid training strategy. It allows ``plug-in and play'' of multiple datasets annotated for different tasks without the requirement of a fully labeled common dataset for all the tasks. We experimentally show that the proposed iFAN achieves state-of-the-art performance on multiple face analytics tasks using a single integrated model. Specifically, iFAN achieves an overall F-score of 91.15% on the Helen dataset for face parsing, a normalized mean error of 5.81% on the MTFL dataset for facial landmark localization and an accuracy of 45.73% on the BNU dataset for emotion recognition with a single model. Human parsing is attracting increasing research attention. In this work, we aim to push the frontier of human parsing by introducing the problem of multi-human parsing in the wild. Existing works on human parsing mainly tackle single-person scenarios, which deviates from real-world applications where multiple persons are present simultaneously with interaction and occlusion. To address the multi-human parsing problem, we introduce a new multi-human parsing (MHP) dataset and a novel multi-human parsing model named MH-Parser. The MHP dataset contains multiple persons captured in real-world scenes with pixel-level fine-grained semantic annotations in an instance-aware setting. The MH-Parser generates global parsing maps and person instance masks simultaneously in a bottom-up fashion with the help of a new Graph-GAN model. We envision that the MHP dataset will serve as a valuable data resource to develop new multi-human parsing models, and the MH-Parser offers a strong baseline to drive future research for multi-human parsing in the wild. In this paper, we present a Self-Supervised Neural Aggregation Network (SS-NAN) for human parsing. SS-NAN adaptively learns to aggregate the multi-scale features at each pixel "address". In order to further improve the feature discriminative capacity, a self-supervised joint loss is adopted as an auxiliary learning strategy, which imposes human joint structures into parsing results without resorting to extra supervision. The proposed SS-NAN is end-to-end trainable. SS-NAN can be integrated into any advanced neural networks to help aggregate features regarding the importance at different positions and scales and incorporate rich high-level knowledge regarding human joint structures from a global perspective, which in turn improve the parsing results. Comprehensive evaluations on the recent Look into Person (LIP) and the PASCAL-Person-Part benchmark datasets demonstrate the significant superiority of our method over other state-of-the-arts. This paper presents the proposed solution to the ''affect in the wild'' challenge, which aims to estimate the affective level, i.e. the valence and arousal values, of every frame in a video. A carefully designed deep convolutional neural network (a variation of residual network) for affective level estimation of facial expressions is first implemented as a baseline. Next we use multiple memory networks to model the temporal relations between the frames. Finally ensemble models are used to combine the predictions from multiple memory networks. Our proposed solution outperforms the baseline model by a factor of 10.62% in terms of mean square error (MSE). Unconstrained face recognition performance evaluations have traditionally focused on Labeled Faces in the Wild (LFW) dataset for imagery and the YouTubeFaces (YTF) dataset for videos in the last couple of years. Spectacular progress in this field has resulted in a saturation on verification and identification accuracies for those benchmark datasets. In this paper, we propose a unified learning framework named transferred deep feature fusion targeting at the new IARPA Janus Bechmark A (IJB-A) face recognition dataset released by NIST face challenge. The IJB-A dataset includes real-world unconstrained faces from 500 subjects with full pose and illumination variations which are much harder than the LFW and YTF datasets. Inspired by transfer learning, we train two advanced deep convolutional neural networks (DCNN) with two different large datasets in source domain, respectively. By exploring the complementarity of two distinct DCNNs, deep feature fusion is utilized after feature extraction in target domain. Then, template specific linear SVMs is adopted to enhance the discrimination of framework. Finally, multiple matching scores corresponding different templates are merged as the final results. This simple unified framework outperforms the state-of-the-art by a wide margin on IJB-A dataset. Based on the proposed approach, we have submitted our IJB-A results to National Institute of Standards and Technology (NIST) for official evaluation. Training a deep neural network usually requires sufficient annotated samples. The scarcity of supervision samples in practice thus becomes the major bottleneck on performance of the network. In this work, we propose a principled method to circumvent this difficulty through marginalizing all the possible transformations over samples, termed as Marginalized Convolutional Neural Network (mCNN). mCNN implicitly considers in- finitely many transformed copies of the training data in every training epoch and therefore is able to learn representations invariant for transformation in an end-to-end way. We prove that such marginalization can be understood as a classic CNN with a special form of regularization and thus is efficient for implementation. Experimental results on the MNIST and affNIST digit number datasets demonstrate that mCNN can match or outperform the original CNN with much fewer training samples. Moreover, mCNN also performs well for face recognition on the recently released largescale MS-Cele-1M dataset and outperforms stateof-the-arts. Moreover, compared with the traditional CNNs which use data augmentation to improve their performance, the computational cost of mCNN is reduced by a factor of 25. This paper describes our proposed method targeting at the MSR Image Recognition Challenge MS-Celeb-1M. The challenge is to recognize one million celebrities from their face images captured in the real world. The challenge provides a large scale dataset crawled from the Web, which contains a large number of celebrities with many images for each subject. Given a new testing image, the challenge requires an identify for the image and the corresponding confidence score. To complete the challenge, we propose a two-stage approach consisting of data cleaning and multi-view deep representation learning. The data cleaning can effectively reduce the noise level of training data and thus improves the performance of deep learning based face recognition models. The multi-view representation learning enables the learned face representations to be more specific and discriminative. Thus the difficulties of recognizing faces out of a huge number of subjects are substantially relieved. Our proposed method achieves a coverage of 46.1% at 95% precision on the random set and a coverage of 33.0% at 95% precision on the hard set of this challenge. I was invited by Peng Cheng Laboratory (PCL) to attend the 2019 Overseas Young Scientist Forum at Shenzhen China during 30/03/2019-01/04/2019 and deliver a talk on "Deep Learning for Human-Centric Image Analysis: From Face Recognition to Human Parsing". 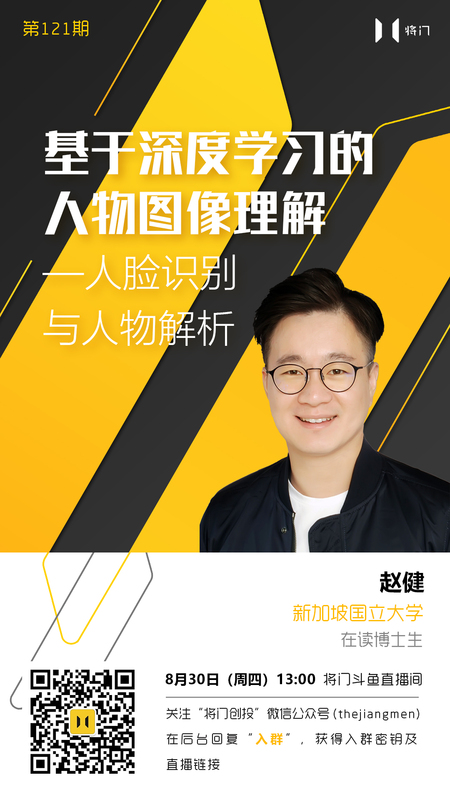 I was invited by CoLab, School of Computer, Beihang University to deliver a talk on "Deep Learning for Human-Centric Image Analysis: From Face Recognition to Human Parsing" on 23rd March 2019. I was invited by Tencent Deep Sea AI Lab to deliver a talk "Margin-based Representation Learning, Residual Knowledge Distillation and Prior-Aided Super Resolution" on 01st March 2019. I was invited by UBTECH to deliver a talk "Deep Learning for Human-Centric Image Understanding" on 08th January 2019. I was invited by OmniVision to deliver a talk "Facial Analytics" on 16th November 2018. I was invited by Jiang Men to deliver a talk "Deep Learning for Human-Centric Image Understanding" on 30th August 2018 (Link, Poster, Summary). I was invited by VALSE Webinar to deliver a talk "Deep Learning for Human-Centric Image Understanding" on 22nd August 2018 (Link, Summary). 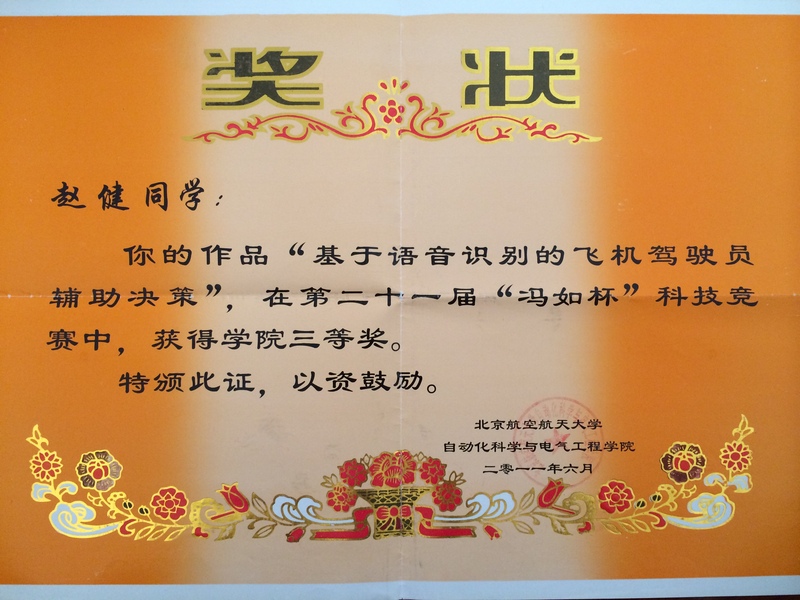 Excellent Graduate Award (<2%), National University of Defense Technology, 2019. 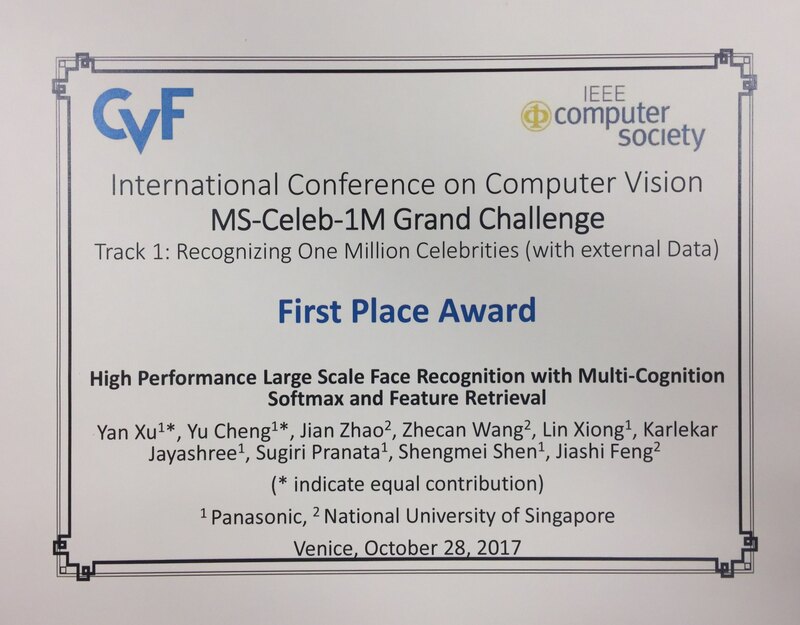 3rd-Place Award, 2nd author, MS-Celeb-1M face recognition hard set challenge with ACM MM 2016. 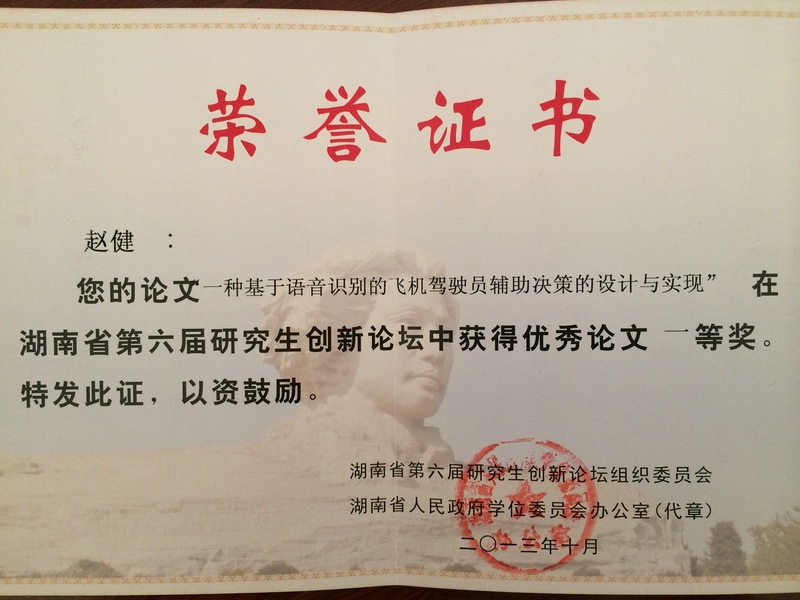 Excellent Student Award (<10%), School of Computer, National University of Defense Technology, 2016. 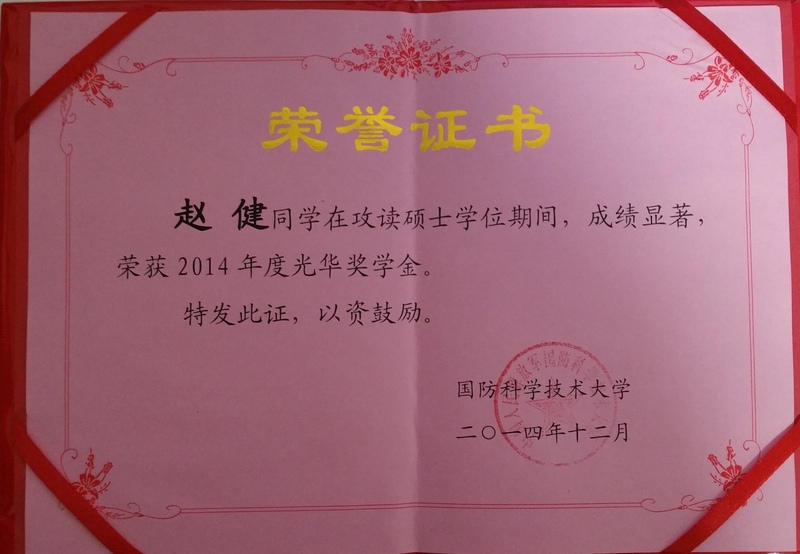 Excellent Student Award (<10%), School of Computer, National University of Defense Technology, 2015. 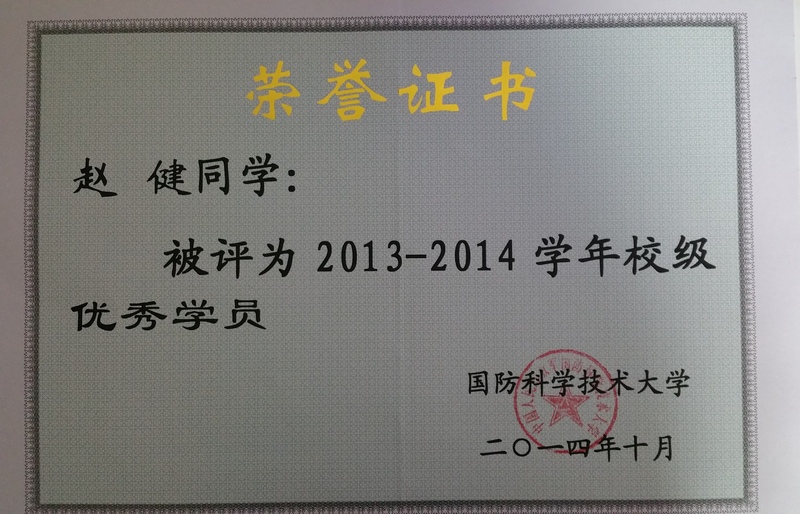 Excellent Graduate Award (<2%), National University of Defense Technology, 2014. 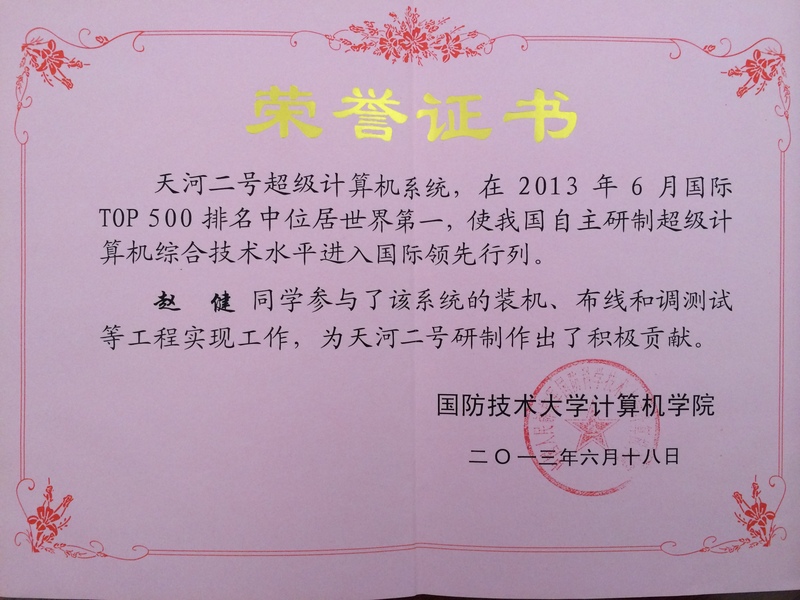 3rd-Place Award, 13th "Great Wall Information Cup" challenge, National University of Defense Technology, 2013. 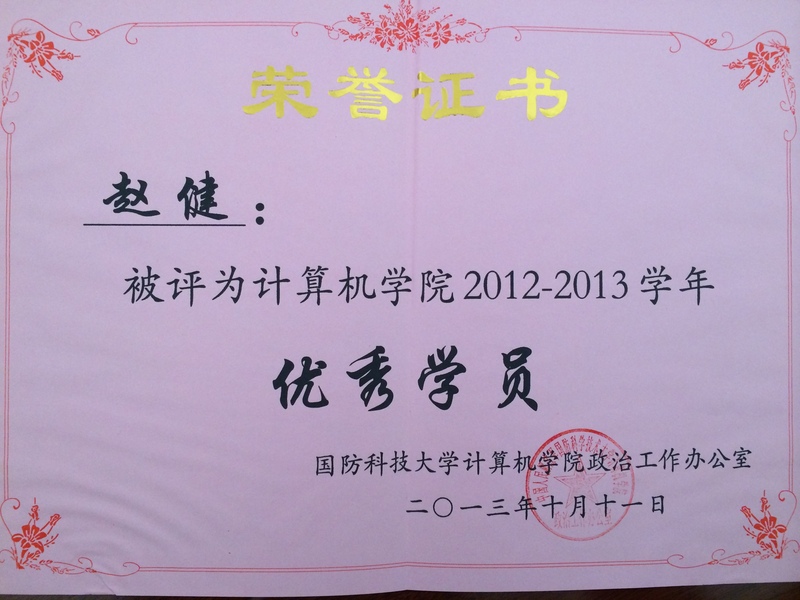 National Endeavor Fellowship, Central Government & Beijing Government of China, 2011. 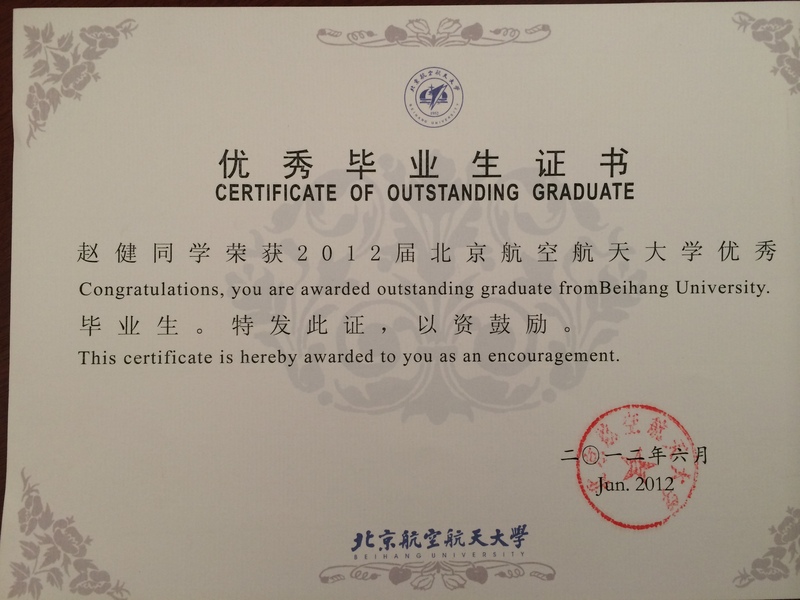 SMC Fellowship, Beihang University, 2010.